Sage have released a 25 page guide to the expected new features for Sage 100 ERP 2014. This new update is scheduled to be available in February – March 2014. Sage 100 ERP 2014 includes several user experience enhancements that help users to be more productive. Enhancements include the ability to use Autocomplete to find customers, vendors, and items faster, keep custom report windows open, and use the search grid window easier. 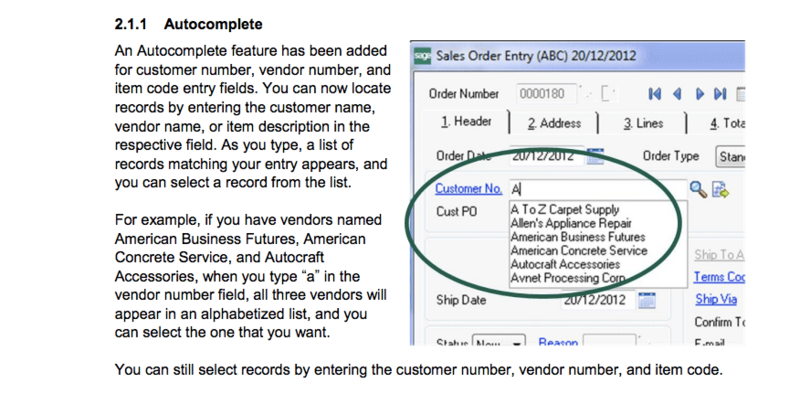 Custom reports now provides the ability to allow a user to keep the custom report window open after print or preview. This allows users to save time when printing or previewing numerous custom reports.